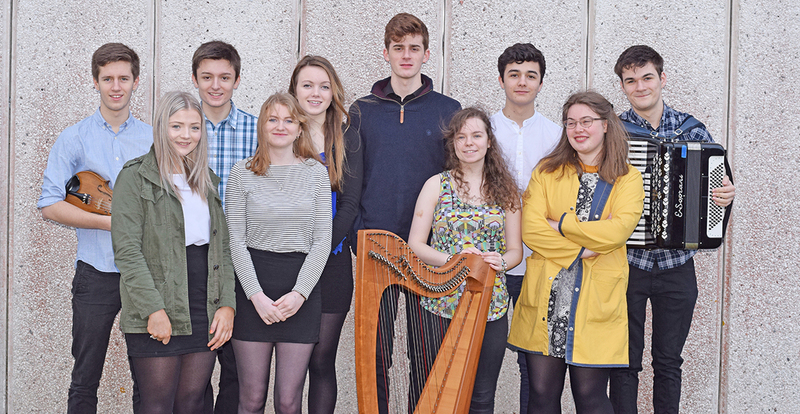 This year’s concert tour by the S6 students of Sgoil Chiùil Na Gàidhealtachd will see them head south to the Scottish Borders, and also Glasgow, to raise funds for the Friends of Plockton Music School and meet some old friends. The tour runs from Monday 27th March to Thursday 30th, ending in the National Piping Centre, Glasgow. The students will also undertake a number of school workshops in the daytime. Sgoil Chiùil Na Gàidhealtachd is extremely grateful to Kelsey Jubin, creative learning assistant at the children and young people’s service of the Scottish Borders Council, who has provided invaluable assistance in setting up the tour. The concert at the National Piping Centre is a fundraiser for the Friends of Plockton Music School, a charitable trust which provides financial support for the touring and recording activities of the centre. The bill that evening will be shared with former students of the centre, and topped off by the exciting quartet of Innes Watson, Mike Vass, Innes White and Michael Ferrie. For more information on the Friends of Plockton Music School, visit www.fpms.org.uk.